Eric Andre’s San Diego Show RECAP Told Through Social Media! Dave Chappelle Gears Up For Upcoming 13-City Tour! The Gay Rights Movement Gets BIG Win As DOMA Catches Headshot! Daft Punk’s Latest Album Moved HOW MANY FIRST WEEK UNITS? Tribeca Film Festival 2013 Jury Prize Winners ANNOUNCED! Kid Cudi “Indicud” Blossoms To #2 On Billboard Charts. Jay – Z’s “Made In America” Festival Line Up RELEASED. Fools Gold visionary A-Trak has announced his 9-stop tour which will take place in the month of April 2013. 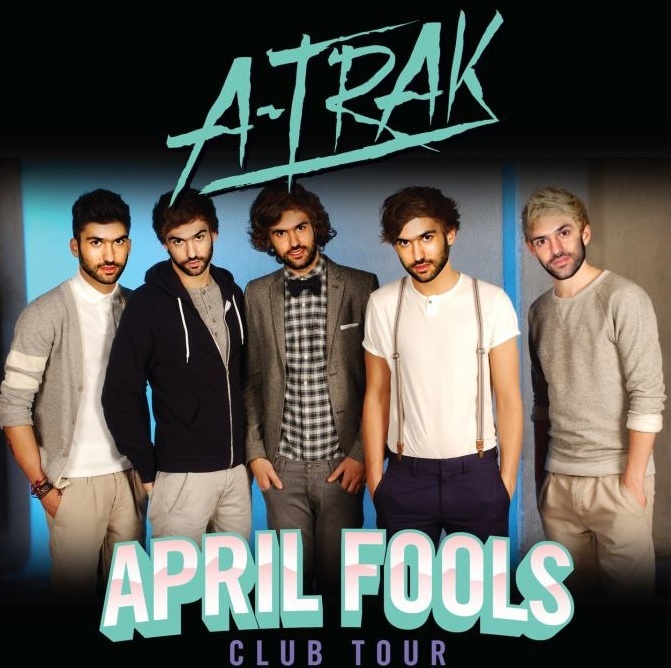 The promo photo is absolutely hilarious, them photoshopping A-Trak’s face over British pop group’s One Direction face, tickets go on sale this Friday.